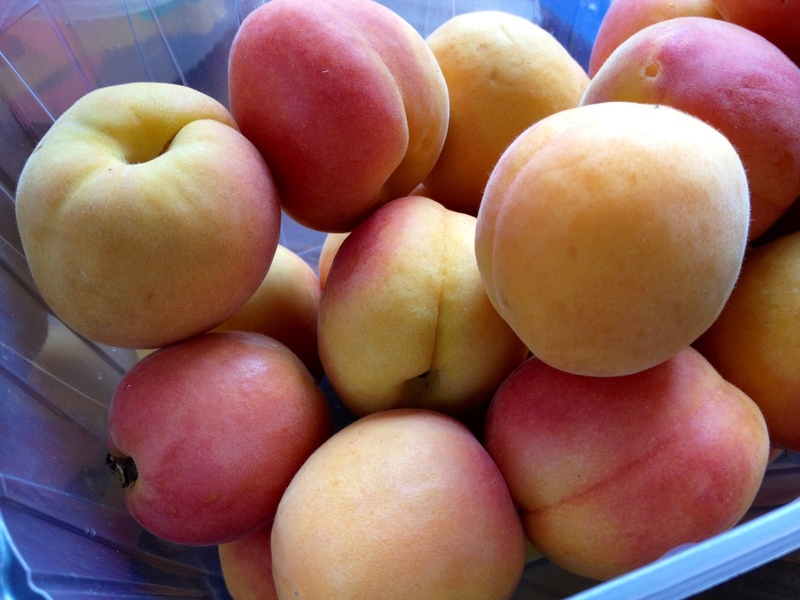 Apricots were on sale this week and I bought a big pile. 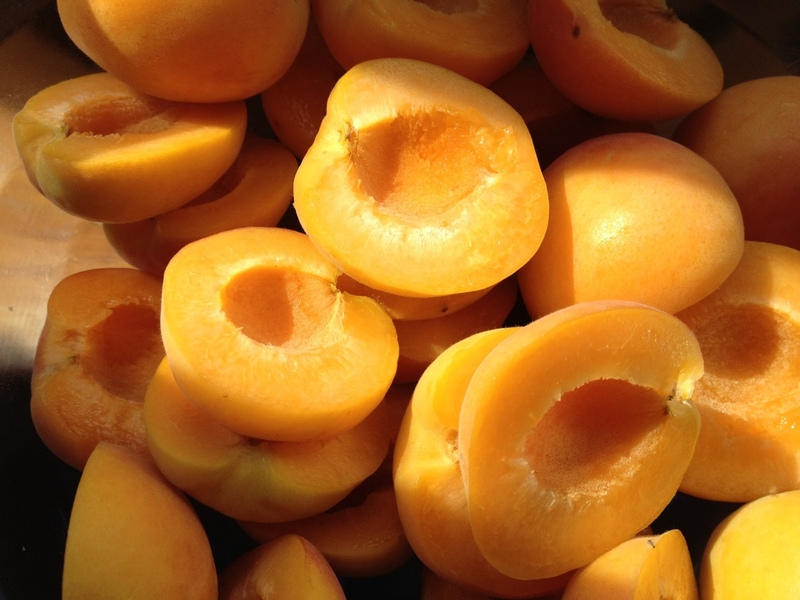 Apricots are one of the few fruit I prefer cooked to eating fresh (or the only one? Can’t think of another example). 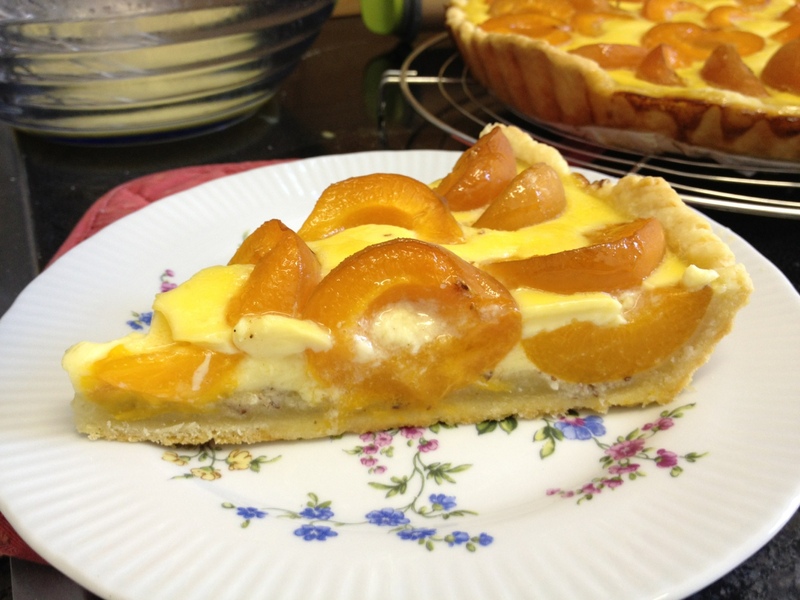 My first apricot recipe (I have a pile of them) is for a basic apricot fruit tarte. 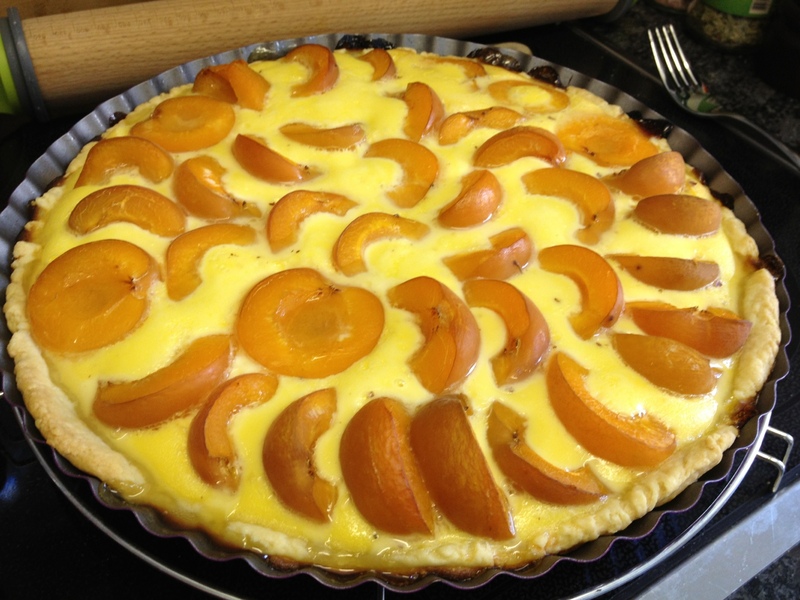 It is from Saisonküche (German for Seasonal Kitchen). 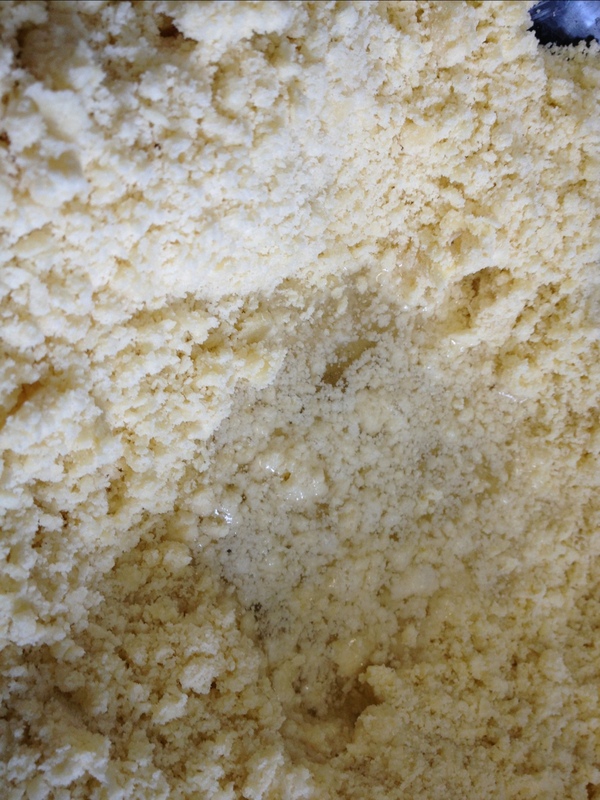 For the pastry I mixed 250g flour, 1/2 a teaspoon of salt and 125g cold butter until it had a crumbly consistency. I then added 0.8dl cold water. 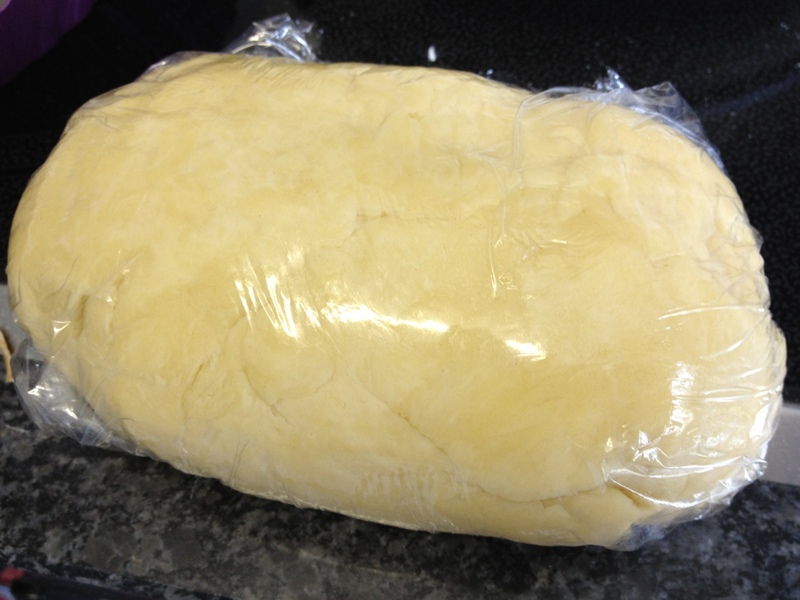 The pastry then needed to rest in the fridge for at least 30 minutes. In the meantime I sliced and destoned the apricots. 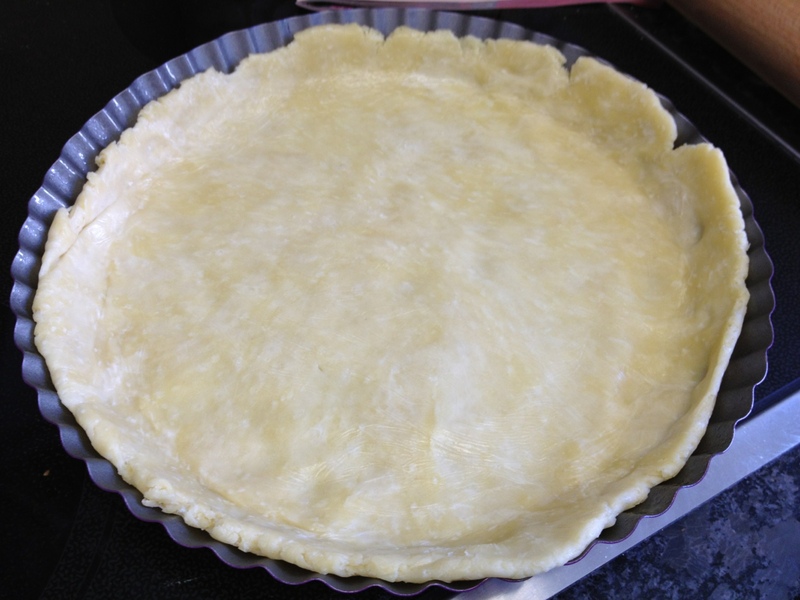 When the pastry was ready I rolled it out to about 3mm and laid it in a tarte tin. 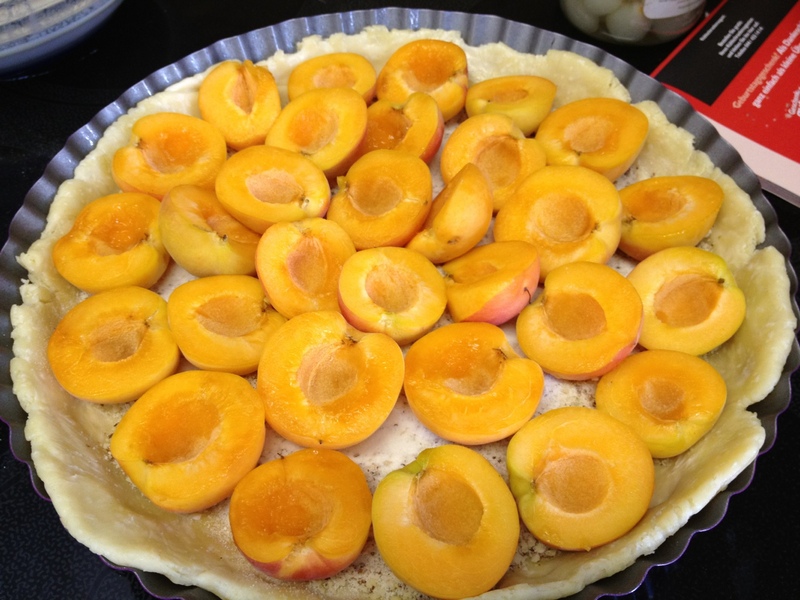 I pricked the bottom with a fork, sprinkled 2 tablespoons of ground almonds on top and laid out the apricot halves. Finally I mixed the custard topping using 250ml cream, 3 eggs and 50g sugar. You could add vanilla sugar or cinnamon for additional sweetness/taste. 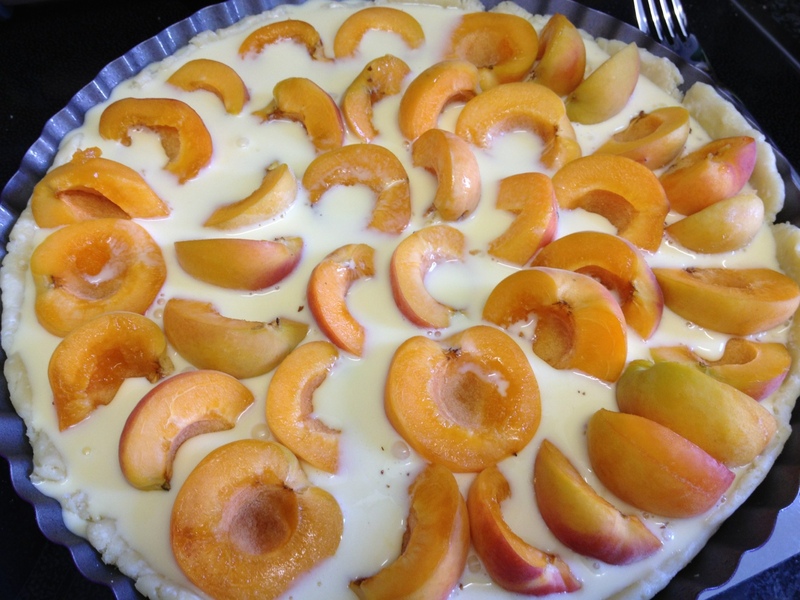 Then I poured the custard mix onto my tarte. After 50 minutes in the oven at 180C (bottom heat to achieve a crispy and not soggy bottom) the tarte was baked to perfection. 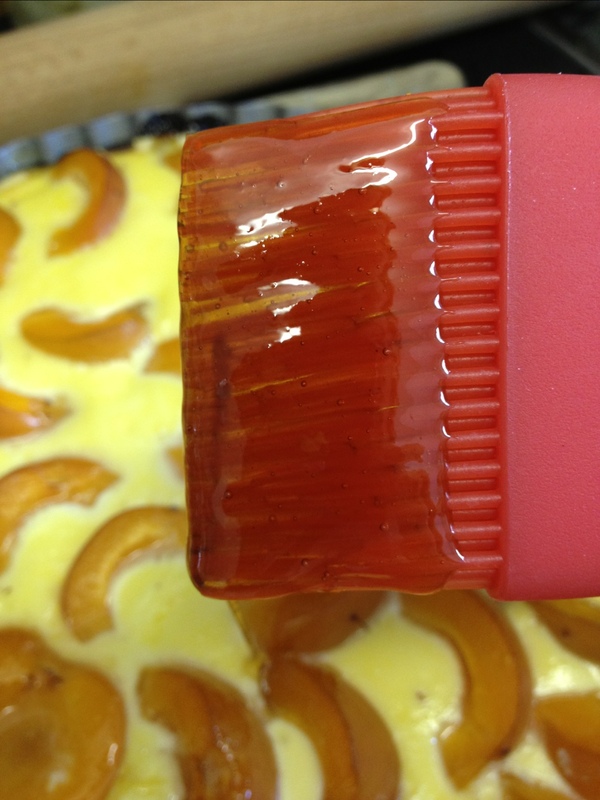 To add something special I brushed the hot apricots with Irish Mist gelée. Of course the proof of the tarte lies in its eating. And it passed the test brilliantly! This is a great basic recipe to use as a starting point for experiments with both the pastry (add herbs for example?) 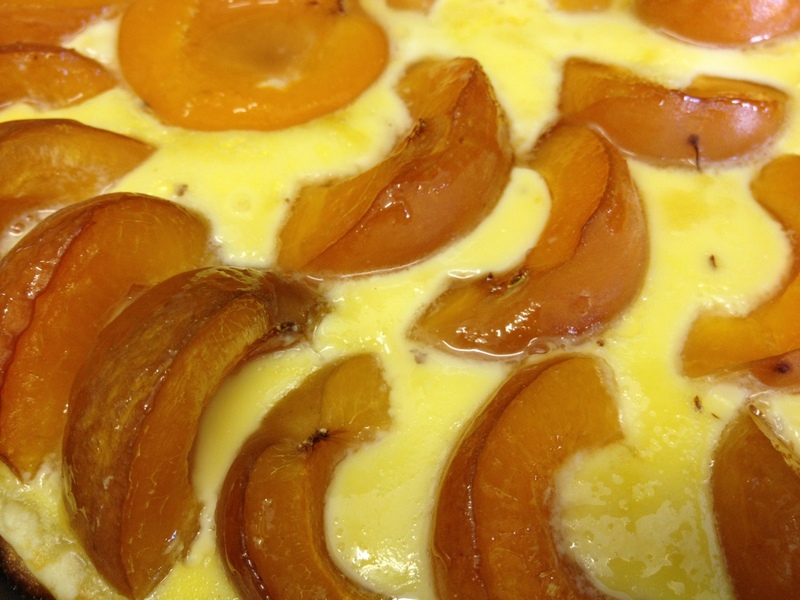 and the topping (different fruit, custard with a twist…).